Start off your visit on the 13th (Thu): learn about winemaking at Irish Whiskey Tasting Event, step into the grandiose world of Kilkenny Castle, and then indulge your thirst for a good beer at Smithwick's Experience Kilkenny. To see other places to visit, ratings, reviews, and other tourist information, go to the Kilkenny custom trip planner. Use the Route module to find suitable travel options from Strathmore, Canada to Kilkenny. The time zone difference when traveling from Strathmore to Kilkenny is 7 hours. Expect somewhat warmer temperatures when traveling from Strathmore in October; daily highs in Kilkenny reach 17°C and lows reach 11°C. Cap off your sightseeing on the 13th (Thu) early enough to go by car to Killarney. 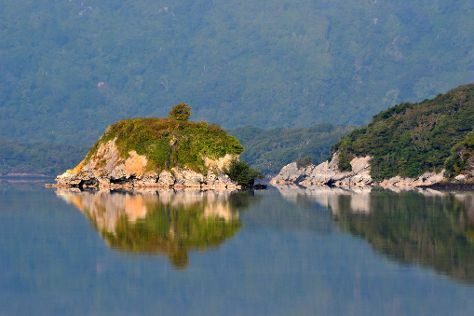 On the 14th (Fri), explore the wealth of natural beauty at Killarney National Park. Get ready for a full day of sightseeing on the 15th (Sat): explore the historical opulence of Ross Castle, try to win big at Killarney Races, and then admire the natural beauty at Muckross House, Gardens & Traditional Farms. To find photos, ratings, where to stay, and tourist information, read our Killarney trip planner. You can drive from Kilkenny to Killarney in 3 hours. Other options are to take a train; or take a bus. In October, plan for daily highs up to 17°C, and evening lows to 9°C. Finish up your sightseeing early on the 15th (Sat) so you can travel back home.